Click on the pictures above to activate the zoom. 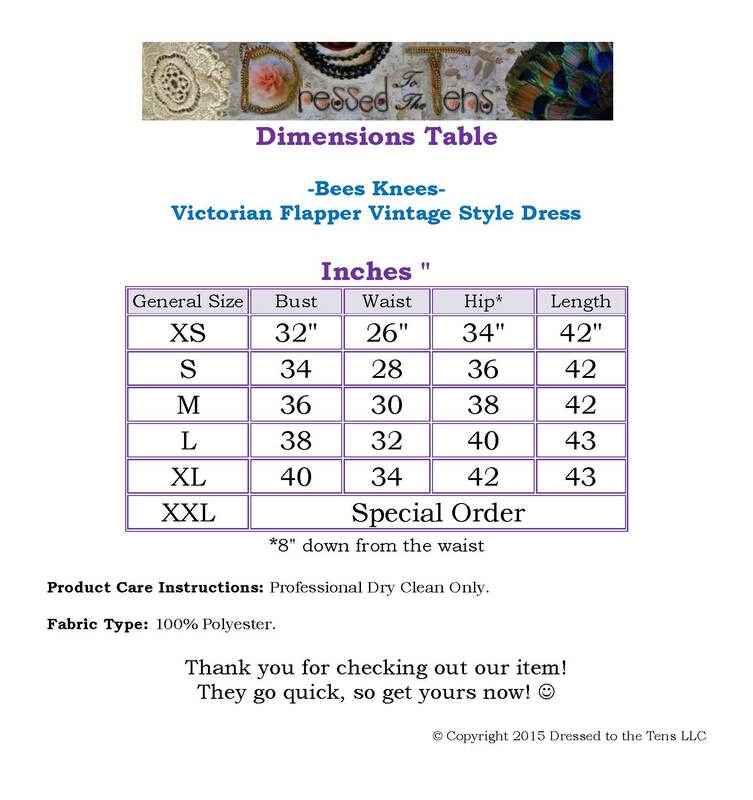 Also, please see the Dimension Table in the picture set above to determine which size you need. If you are unsure about the size, we suggest going with the larger size. 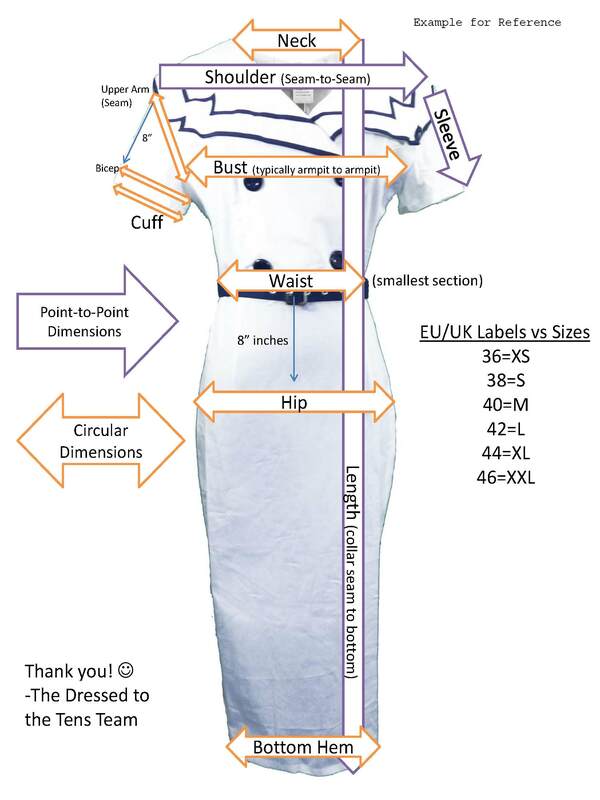 This will allow room for alterations and a more comfortable wear especially when bending/sitting. 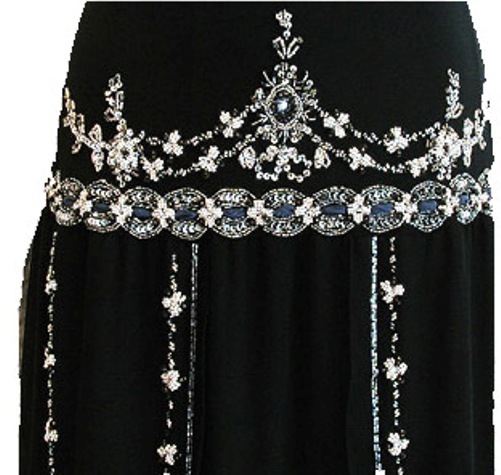 This product is defined as vintage style, new product or reproduction. Not actual vintage. Copyright Dressed to the Tens. All Rights Reserved. eCommerce Software by 3dcart.